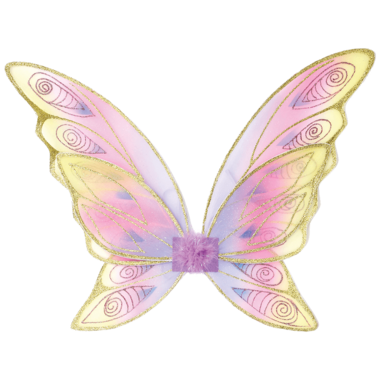 Great Pretenders Glitter Rainbow Wings feature a 6 piece construction, boasting a 3-tone base colour scheme with a 2-tone glitter accent. Satin lined elastic guarantees comfort when flying around in them. Care Instructions: Wash with damp cloth. Wonderful product. Good quality for a very reasonable price. Would buy again.